Turipo - In Greece from Thesaloniki to Athens. Greece trip plan. 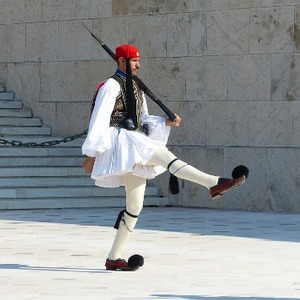 Full day by day travel plan to Greece. Our family summer vacation in Greece. 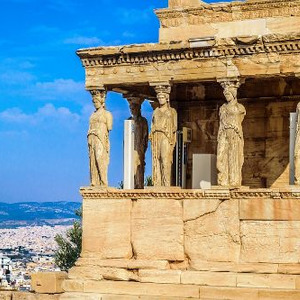 Trip itinerary in Greece from Thesaloniki to Athens: Enepeas canyon, Mount Olimpus, Meteora, Thessaly, Volos and more attractions and things to do in Greece. Description: Greece trip plan. Full day by day travel plan to Greece. Our family summer vacation in Greece. 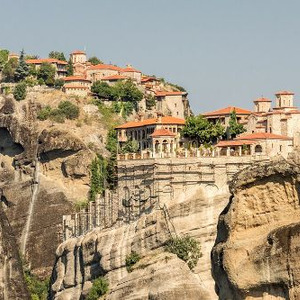 Trip itinerary in Greece from Thesaloniki to Athens: Enepeas canyon, Mount Olimpus, Meteora, Thessaly, Volos and more attractions and things to do in Greece. The museum is famous amongst the locals and is quite impressive. 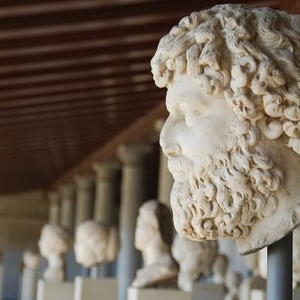 The museum has artefacts ranging from the Archaic period till the Roman period. It has a huge collection of Greek coins and Gold jewellery. The museum also has a lot of historical artefacts from the city of Thessaloniki which is good to see given the rich history of the city. Visiting Modiano Market is a must. Known as one of the most vibrant areas of Thessaloniki, with the hustle and bustle of activity six days of the week (closed on Sunday). An area of small and medium size shops encompass a labyrinth of stalls selling everything from food to clothes to toys. It’s truly a feast for the eyes. 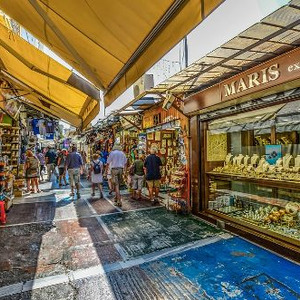 Modiano Market is an enclosed market in Thessaloniki, Greece. It was built between 1922 and 1930, in the center of the city and forms the central point of the city's market which encompasses over several blocks. It took its name from the architect Eli Modiano, a member of the well known more.. Italian–Jewish Modiano family of the city. Inside the market there are fish markets, butcher shops, tavernas and bars. It is a place of social meeting and historical significance for the city. less..
Ladadika is the name of a historic district and a landmark area of the city of Thessaloniki, Greece. 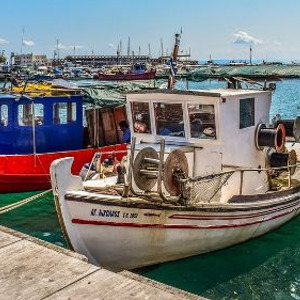 It locates near the Port of Thessaloniki and for centuries was one of the most important market places of the city. Its name came about from the many olive oil shops of the area. Many Jews of the more.. city were living there, while the so-called "Frankish district", with the French/Italian merchants and residents, was located beside. In the years before World War I it came to form the red light district, with the area starting to host many brothels. In 1985, Ladakika was listed as a heritage site by the Ministry of Culture. Its notable architectural style with 19th century buildings is preserved and protected. Nowadays, having undergone gentrification in the 1980s, Ladadika forms the entertainment district of the city, hosting bars, nightclubs, restaurants, and pubs in what used to be old oil stores and merchant warehouses, which spill out into a network of pedestrianized streets and small squares, like Morichovou Square, popular place for tourists. less.. The Jewish Museum of Thessaloniki is a museum in Thessaloniki, Central Macedonia, Greece presenting the history of Sephardic Jews and Jewish life in Thessaloniki. It is also known as: "Museum of Jewish Presence in Thessaloniki", "Jewish History Museum", Greek: "Κέντρο Ιστορικής Διαδρομής Εβραϊσμού more.. Θεσσαλονίκης", "Μουσείο Εβραϊκής Παρουσίας στη Θεσσαλονίκη". The museum is being run by the Jewish Community of Thessaloniki. less.. The Arch of Galerius or Kamara and the Rotunda are neighbouring early 4th-century AD monuments in the city of Thessaloniki, in the region of Central Macedonia in northern Greece. The White Tower is an important element of Thessaloniki both for its representation of the city’s history and for the daily lives of locals and visitors. The White Tower of Thessaloniki is a monument and museum on the waterfront of the city of Thessaloniki, capital of the region of Macedonia in northern Greece. The present tower replaced an old Byzantine fortification, known to have been mentioned around the 12th century, that the Ottoman Empire more.. reconstructed to fortify the city's harbour sometime after Sultan Murad II captured Thessaloniki in 1430. The tower became a notorious prison and scene of mass executions during the period of Ottoman rule. The White Tower was substantially remodeled and its exterior was whitewashed after Greece gained control of the city in 1912. It has been adopted as the symbol of the city. less..
Thessaloniki, also familiarly known as Thessalonica, Salonica, or Salonika is the second-largest city in Greece, with over 1 million inhabitants in its metropolitan area, and the capital of Greek Macedonia, the administrative region of Central Macedonia and the Decentralized Administration of more.. Macedonia and Thrace. Its nickname is η Συμπρωτεύουσα, literally "the co-capital", a reference to its historical status as the Συμβασιλεύουσα or "co-reigning" city of the Eastern Roman Empire, alongside Constantinople.Thessaloniki is located on the Thermaic Gulf, at the northwest corner of the Aegean Sea. It is bounded on the west by the delta of the Axios/Vardar. The municipality of Thessaloniki, the historical center, had a population of 325,182 in 2011, while the Thessaloniki Urban Area had a population of 788,952 and the Thessaloniki Metropolitan Area had 1,012,297 inhabitants in 2011. 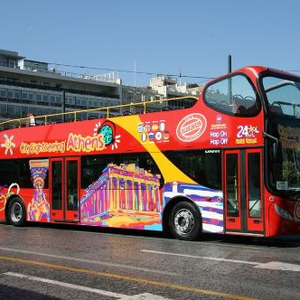 It is Greece's second major economic, industrial, commercial and political centre; it is a major transportation hub for Greece and southeastern Europe, notably through the Port of Thessaloniki. The city is renowned for its festivals, events and vibrant cultural life in general, and is considered to be Greece's cultural capital. Events such as the Thessaloniki International Fair and the Thessaloniki International Film Festival are held annually, while the city also hosts the largest bi-annual meeting of the Greek diaspora. Thessaloniki was the 2014 European Youth Capital.The city of Thessaloniki was founded in 315 BC by Cassander of Macedon. An important metropolis by the Roman period, Thessaloniki was the second largest and wealthiest city of the Byzantine Empire. It was conquered by the Ottomans in 1430, and passed from the Ottoman Empire to Greece on 8 November 1912. It is home to numerous notable Byzantine monuments, including the Paleochristian and Byzantine monuments of Thessaloniki, a UNESCO World Heritage Site, as well as several Roman, Ottoman and Sephardic Jewish structures. The city's main university, Aristotle University, is the largest in Greece and the Balkans.Thessaloniki is a popular tourist destination in Greece. 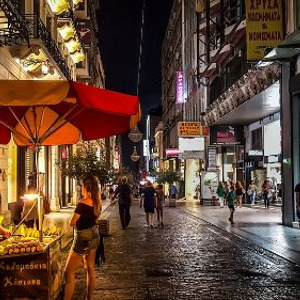 In 2013, National Geographic Magazine included Thessaloniki in its top tourist destinations worldwide, while in 2014 Financial Times FDI magazine declared Thessaloniki as the best mid-sized European city of the future for human capital and lifestyle. Among street photographers, the center of Thessaloniki is also considered the most popular destination for street photography in Greece. less..
Edessa was a city in Upper Mesopotamia, founded on an earlier site by Seleucus I Nicator ca. 302 BC. 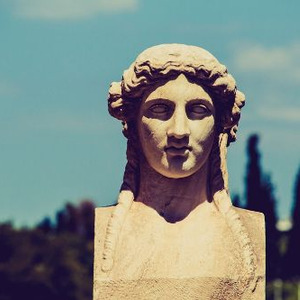 It was also known as Antiochia on the Callirhoe from the 2nd century BC. It was the capital of the semi-independent kingdom of Osroene from c. 132 BC and fell under direct Roman rule in ca. 242. It more.. became an important early centre of Syriac Christianity. It fell to the Muslim conquest in 638, was briefly retaken by Byzantium in 1031 and became the center of the Crusader state of the County of Edessa from 1098–1144. It fell to the Turkic Zengid dynasty in 1144 and was eventually absorbed by the Ottoman Empire in 1517. The modern name of the city is Urfa and it is located in Şanlıurfa Province in the Southeast Anatolia Region of Turkey. less.. The main village of Litohoro is connected by bus from Athens and Thessaloniki and by train though the station is 9 kilometers from the village. 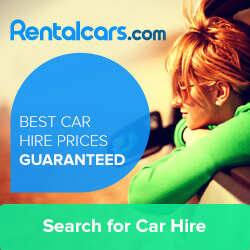 There are numerous places to stay including inexpensive hotels and campsites along the coast with good facilities. Karitsa may refer to: EstoniaKaritsa, Lääne-Viru County, a village in Rakvere Parish, Lääne-Viru County Estonia Karitsa, Rapla County, a village in Kaiu Parish, Rapla County, EstoniaGreeceKaritsa, Evrytania, a village in the municipality Karpenisi, Evrytania Karitsa, Ioannina, a village in the more.. municipality Zitsa, Ioannina regional unit Karitsa, Karditsa, a village in the municipality Lake Plastiras, Karditsa regional unit Karitsa, Laconia, a village in the municipality Evrotas, Laconia Karitsa, Larissa, a village in the municipality Agia, Larissa regional unit Karitsa, Pieria, a village in the municipality Dio-Olympos, PieriaRussiaKaritsa, Russia, a rural locality in Gryazovetsky District of Vologda Oblast less..
Day's description: Enipeas Canyon on the base of Mount Olympus is one of the most beautiful settings in Greece. Its length is 10km long and its starting position is Prionia (1100m altitude), known for its fresh water springs. 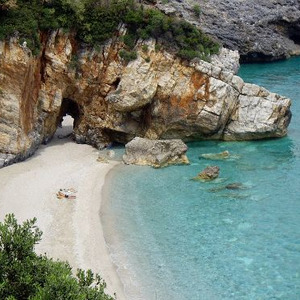 It runs by the north side of Litochoro (a town on the entrance to Mount Olympus), and ends up in the Mediterranean Sea. 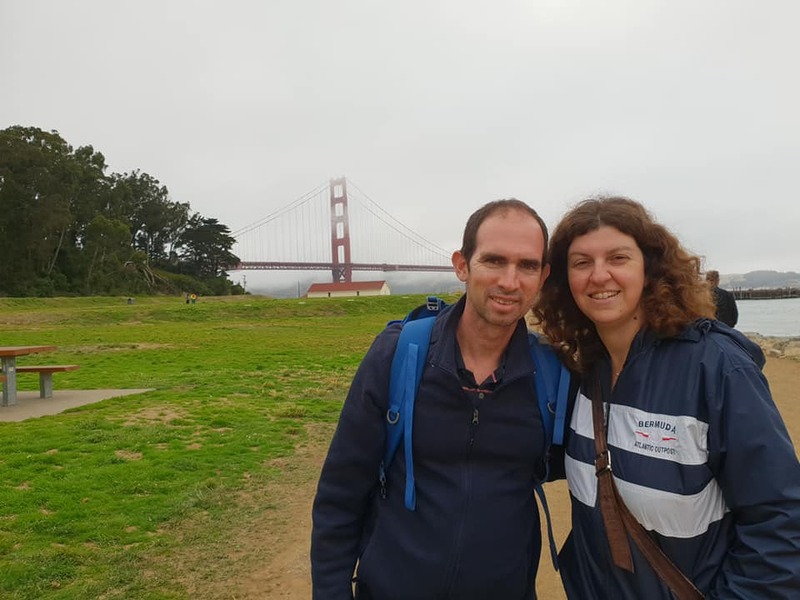 It is a very impressive trek through European Path E4. The valley offers second to none scenes of natural beauty. Enipeas River runs through the gorge forming small lakes along the way, and suddenly disappears in sinkholes. The waters, the variety of foliage and the boulders along the path compose a most impressive sight. The route Litochoro-Prionia lasts about 5 hours and Prionia-Litochoro about 3 hours. Our path begins in Litochoro, a village on the roots of Mount Olympus. 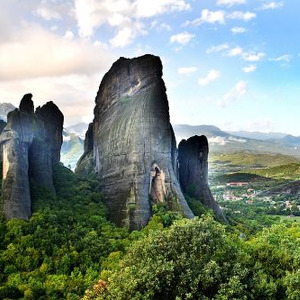 We hike among imposing rocky mounts and Zilinia hiking trails will be to our right, standing 300m tall. We continue our hike through Portes, a rocky mountain complex. We follow through position Sara, very close to Enipeas River, and continue towards Kastana fresh water spring. During the summer months, some visitors actually swim in the crystal river waters. 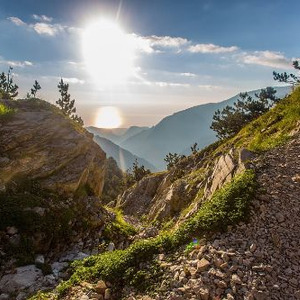 From there we can follow the same path back to Litochoro, or climb to position Golna, from where we can admire Mount Olympus and the canyon at its entirety. Litochoro is a town and a former municipality in the southern part of the Pieria regional unit, Greece. Since the 2011 local government reform it has been part of the Dio-Olympos municipality, of which it is the seat and a municipal unit. It is located at the base of Mount Olympus, on the western more.. shore of the Thermaic Gulf. The first recorded mention of Litochoro is in an account of a visit by Saint Dionysius to Mount Olympus in the 16th century. The town is a popular destination for those wishing to climb Mount Olympus as almost all climbing routes begin to the southwest of the town. A famous son of the town was Christos Kakkalos, who ascended first Mount Olympos in 1913. less..